The Cleveland Naps’ (Indians’) Addie Joss threw the second of his two no-hitters 105 years ago today. 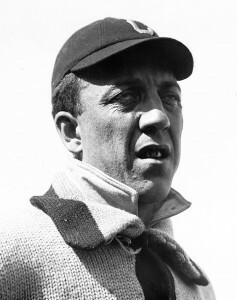 Joss on Wednesday, April 20, 1910 no-hit the Chicago White Sox for a 1-0 victory at South Side Park. It was his second no-no against Chicago. On Friday, October 2, 1908, Joss threw a perfect game against the White Sox at home at League Park.